My experience with cocktail lounges is generally limited to when I travel and have the opportunity to check out well known, historic, or new establishments. Indianapolis was not different. Norm and I had just finished a gondola ride and were scheduled to have pre-dinner drinks at Plat 99 before dinner at Cerulean. We could have spent the entire night at Plat 99. 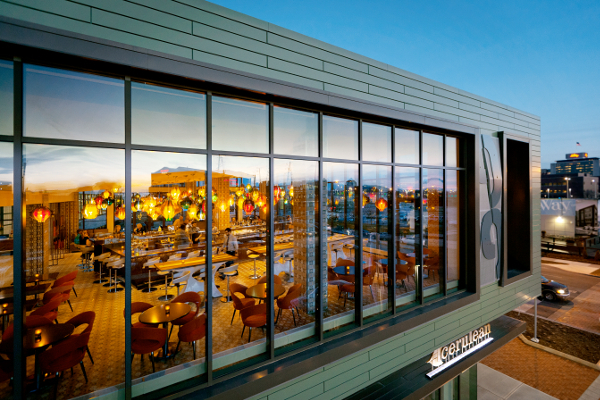 Its design alone was breathtaking, with contemporary architecture and blown glass chandeliers welcoming you into a lively bar and lounge area with an outside patio. If desired, you could just eat at Plat 99. Its menu focuses on local, organic and sustainable ingredients. Plat’s dishes are designed to be shared, but we did not plan to order any, as we knew we were dining shortly. 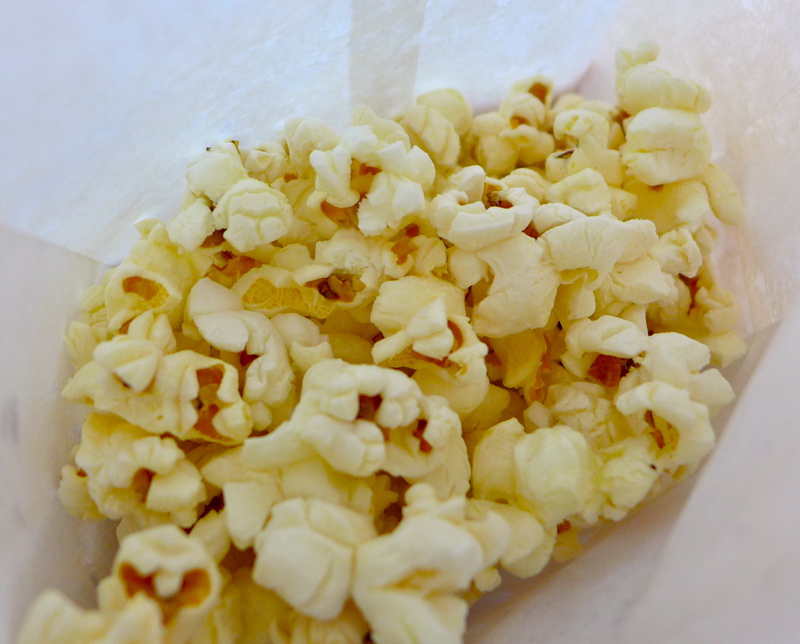 However, when they brought over some hot truffle popcorn, we couldn’t resist. The Plat menu has a variety of signature plates, from edamame to short ribs, grilled cheese to charcuterie, and a fine selection of sweets. In addition to outstanding service, it was the Plat 99 drink menu that won both of us over– me because of memories and Norm, as he is a history buff. Each drink lists its history, including creator and the date of creation. I had the “Sloe Gin Fizz,” created by J. A. Grohusko in 1910. It contained Bitter Truth Sloe Gin, St. George Terroir Gin, egg white, house simple syrup and quinine water. I remembered having my first one many decades ago, the summer I was 18, at the Tip Top Tap in Chicago and had no idea of the ingredients. 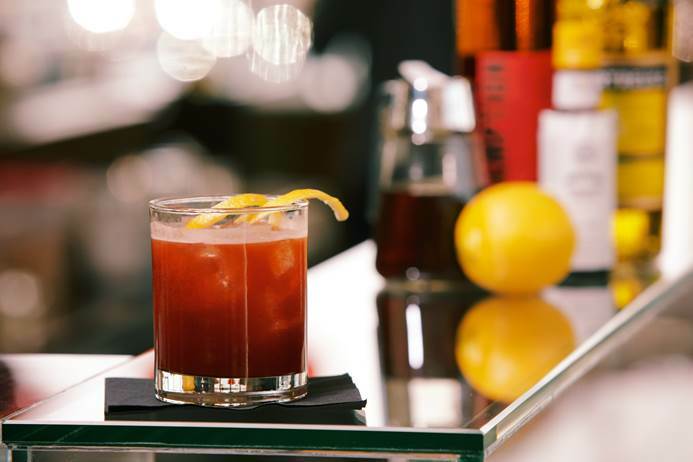 Norm had the “Corpse Reviver No.2,” created by Harry Craddock in 1930. I’m not sure where he remembers it from and I’m sure he would not have been revived, if he had too many. His drink had Nole’s Gin, Contreau, Illet Blanc, lemon, Vieux Carré Absinthe spritz. Obviously, we were thirsty and it was challenging not to guzzled these down before I could take the photo, but we managed to wait and then sip. We can be somewhat disciplined, when we know we have a great dinner coming. 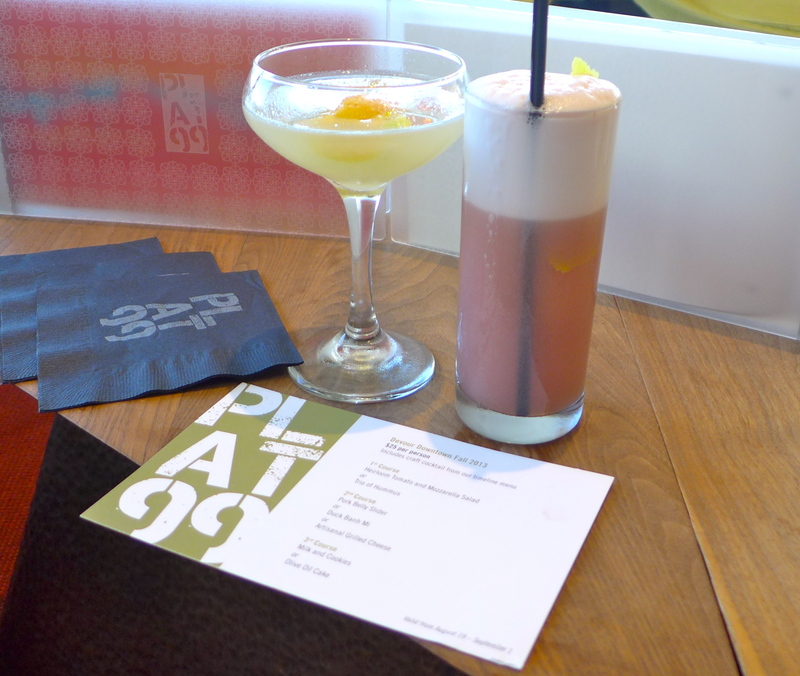 It wasn’t just old drinks, Plat 99 features new concoctions as well. I know there is a bartender book with all this information, but rarely do you see it so delightfully presented on a menu with all ingredients listed. Mix with ice in a shaker and pour or serve on the rocks. Thanks for sharing Michael. When I mentioned Plat 99 to a couple of people who had recently visited Indy, their reaction was the same as ours. Platt 99 is one of the loveliest and comfortable bars Norm and I have experienced. Cutting edge style, yet comfortable and personable service, allow you to relax and enjoy. 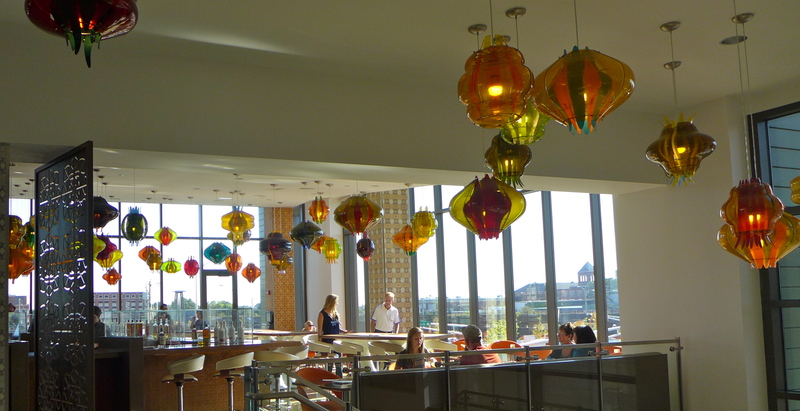 The Alexander Hotel was Indianapolis’ newest hotel in 2013 and Plat 99 and Cerulean are edgy, “in” places. But this writer feels strongly that, more than a young crowd, this combination will draw those who want an extraordinary experience. It’s a little outside of downtown in a revitalized district that I expect will be alive and flourishing over the next couple of years. Photography by Maralyn D. Hill except where noted. If you try out Plat 99, please let us know your reaction. All of us at Luxe Beat Magazine like to hear from our readers about places we’ve been and places we should try. To read the Luxe Beat Magazine version of this article click on the title Indy’s Plat 99.